It’s another big Monday for The Royal Family. Our favorite bad boy who's also sort of a sweetheart, Prince Harry, is turning 30. He may have had his less-than-perfect moments, but the once rebellious teenager has grown up to become complete charmer. So proud. What has Harry been up to over the past few years? While he may have taken a back seat to William and Kate, he's still had some fun. He’s stolen our hearts by being an amazing uncle to Prince George. He’s also made a name for himself as a philanthropist by visiting other countries and trekking across Antarctica — all in the name of charity. He’s swooned us so much that Fox dedicated an entire Bachelor -style reality show so girls could find their own Prince Harry. Ah, the memories. 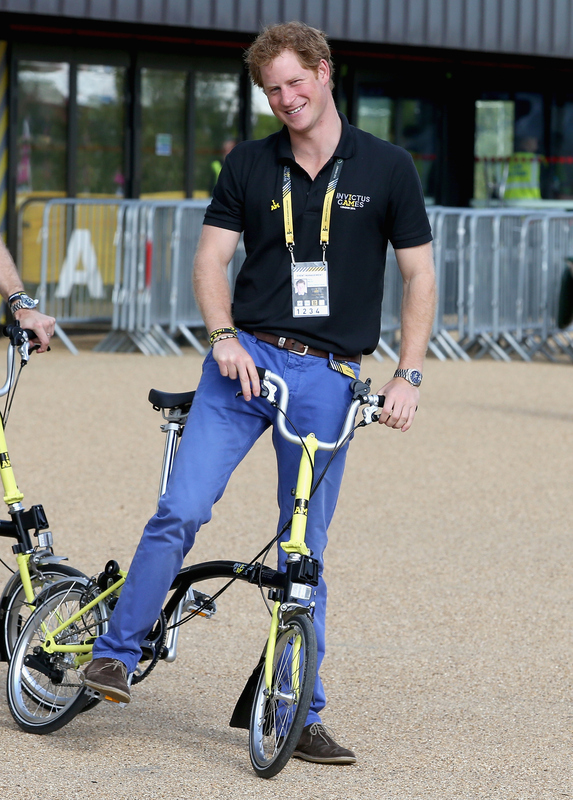 If there's one thing Prince Harry is known to wear pretty much everywhere, it's the polo. Why? It could be because of the sport (a Royal favorite, after all.) Or, you know, because they’re way more comfortable than a suit and tie. For whatever reason, he has one for every single occasion. In honor of Harry’s big day, we ranked his polos from eh to totally his best look. You know, as a birthday present. You're welcome, Harry. What's with the half black/half white sleeves? And that random patch at the bottom? Not his best look. The number looks a bit Limited Too, but hey, he can totally rock the white-on-white look. Proving that royals are in on the colored pants trend too. Well, it’s technically not a polo, but who knew Brits could pull off that Midwestern look so gosh darn flawlessly? Sure, they're playing on the same polo team, but the matching? ADORABLE. Bonus points for standing in reserve numerical order. We may never be royal, but it definitely runs in his blood. The baby blue. The stripes. The understated put put-together belt. We have a winner.